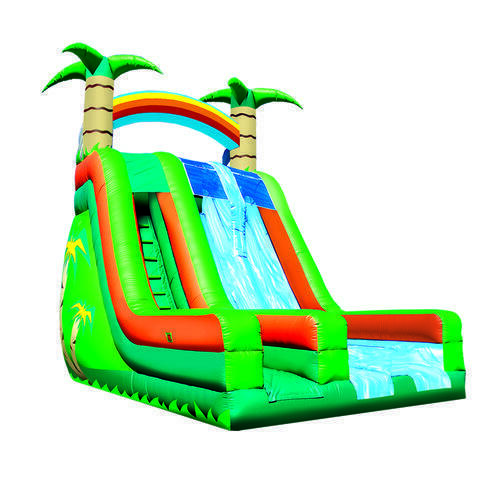 27ft Tropical Slide | Rent a HUGE Slide in Erie | Crazy Monkey Inc. This Slide will get you moving fast standing 3 stories tall with a tropical theme and vibrant colors is sure to bring a rush to all that ride. For kids and adults alike this one is for the thrill seekers.